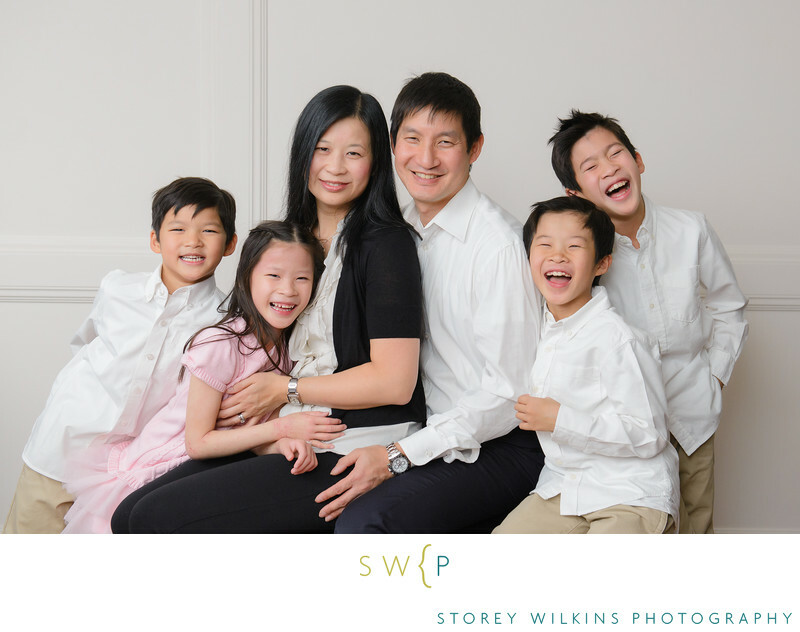 Winter Family Photograph by Storey Wilkins Photography. Don't let the winter put you off of family portraits. Indoor photographs, if lit and composed properly, can be a wonderful way to capture the spirit of your family.